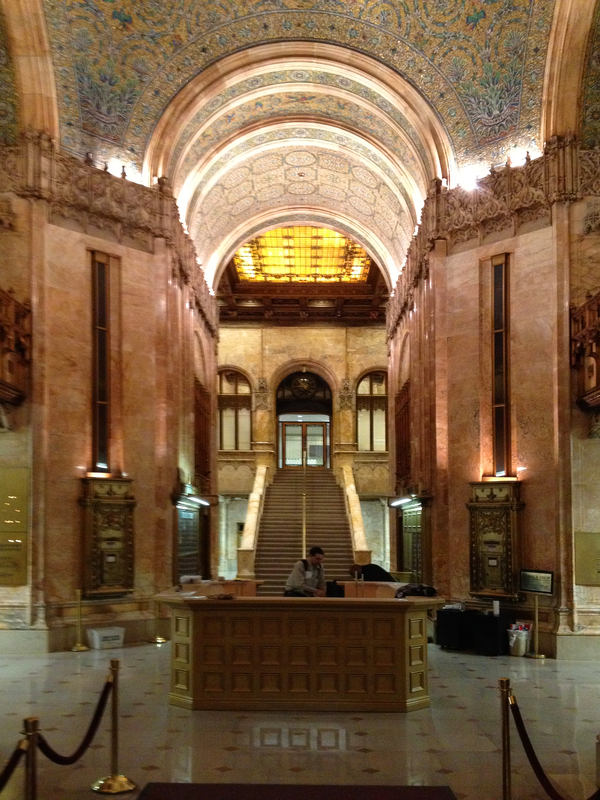 The Woolworth Building, designed by Cass Gilbert and commissioned by Frank W. Woolworth, owner of the dime-store chain, is a New York City Neo-Gothic marvel. 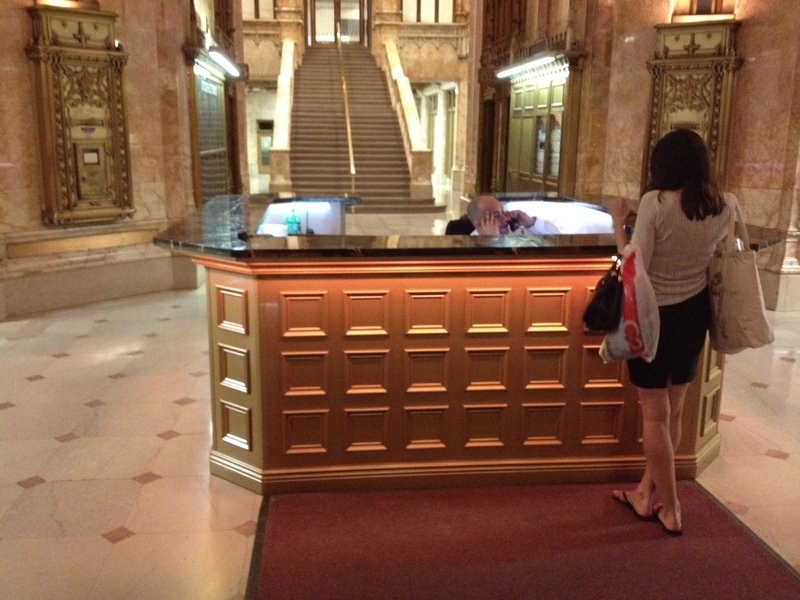 However its lobby, which is one of the most impressive spaces in New York City has never had a proper reception desk. 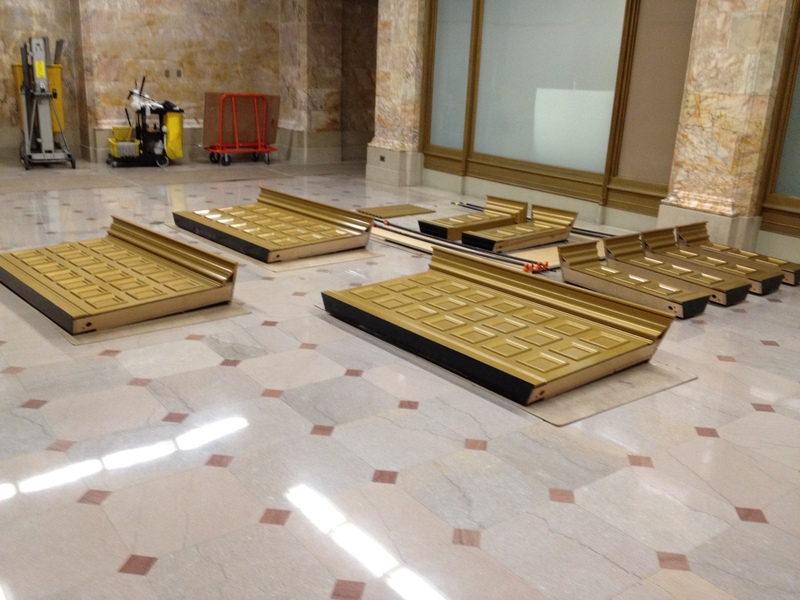 For several decades there was only a brass podium with an attendant who directed you to closest of the 24 approaching elevators. 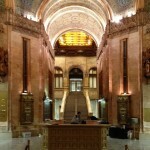 Kowidge Woodworking, founded by TIAS team member Tony Kowidge, was selected by the Witkoff Group to design and build the new reception desk for the world famous Woolworth Building in lower Manhattan. 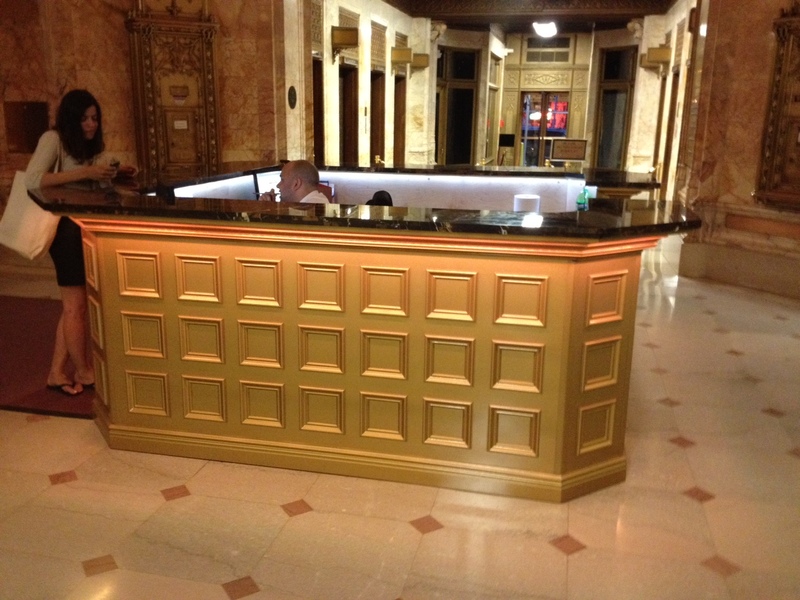 Working with the building historian Roy Suskin, Tony Kowidge and Alen Moghaddam designed a historically correct desk that reflected the original turn of the century podium that formally stood in the center of this iconic space. 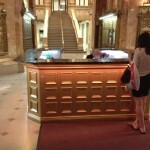 The challenge was that the desk had to complement the magnificent interior. 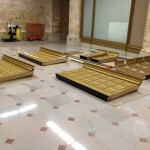 The desk demanded that it could withstand 24/7 continuous use, house all modern security and electrical wiring, as well as include an internal heating system and fire extinguisher cabinet – however; it could not be attached to the historic floor and had to be capable of being disassembled completely in two hours to allow the space to be used for other functions. To assist with illuminating the cavernous space, Kowidge designed and installed a discreetly hidden LED lighting system, capable of dimming and changing colors. 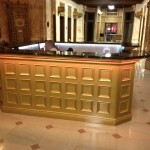 The entire fabrication and finishing of of the desk, was preformed by Tony Kowidge and Billy Lalor.